 The share deals that are funding all of this exploration and acquisition. Following the Next Oil Rush article on ASX:AKK, $20M to $5.6BN: Can He Do It Again? Multiple Catalysts In Weeks , AKK has risen as high as 100% since. Since we released the Next Oil Rush article on ASX:REY, Who is the Mystery Third Man? We Reveal the Next Junior Explorer in WA’s Canning Super-basin... , REY has risen as high as 75%. And nobody ever forgets the Next Oil Rush Hot Tip of the Decade on TSX:AOI. Back in February 2012 The Next Oil Rush called it at around CAD$1.8 and AOI has been as high as CAD$11.25 since – that’s over 600%! The E21 target sits within the E39/1731 tenement that is part of the wider Plumridge Nickel Project. 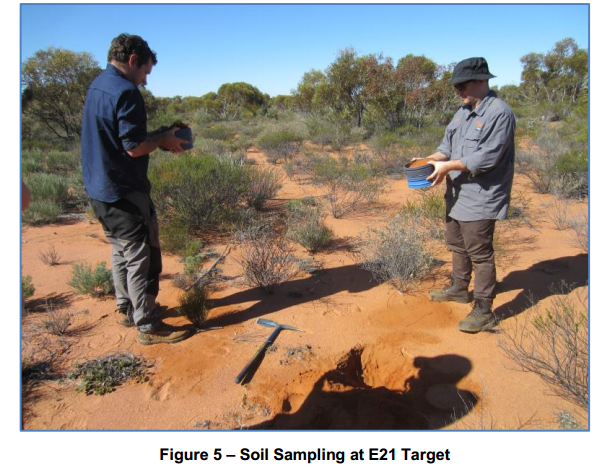 The bedrock conductors that SEG found in its initial exploration work at E21 are the key thing here. That’s Peter Langworthy and he’s the Managing Director of OMNI GeoX, a company that provides what it calls an Operational Risk Based approach to managing the exploration activities of its clients. This company is made firmly in Langworthy’s image, a man who has a long track record of very successful nickel projects under his belt. Langworthy made his name while he was Executive General Manager – Exploration at the highly successful nickel explorer and producer Jubilee Mines Limited. Jubilee was acquired by Xstrata in 2008 for $3.1BN – you don’t get that sort of takeover price if you just have a few promising projects in the cupboard. You get that price for proven and producing assets. That’s exactly what Langworthy helped Jubilee to find: Prospero, Tapinos and Alex Mairs (Cosmos Nickel Project) and Sinclair (Bannockburn). Those are all significant nickel deposits Langworthy had a hand in developing in his time with Jubilee. Now he’s struck out on his own with OMNI GeoX which is a go-to firm for nickel explorers who want to hit their targets. Having this company and Langworthy’s leadership in the driver’s seat for SEG’s Plumridge Nickel Project is very encouraging. Hopefully Langworthy can soon add Plumridge to his long list of successes. So what will having Langworthy on board do for SEG? The geophysics programmes at Plumridge were handled by Newexco and that firm is still on board for SEG’s projects. Newexco was responsible for the Sirius Nova-Bollinger discovery and the Forrestania Nickel Sulphide hit – massive projects that were tough to find, but Newexco did it. 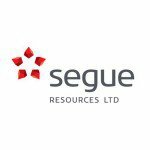 Now, Newexco will still be working with SEG at Plumridge but OMNI Geox will also be in the mix, managing SEG’s exploration activities including the maiden air core drilling programme which has just commenced at the E21 Target. Exploration is a tricky business and needs a firm hand to guide it along so cost overuns and inefficiencies are eliminated. SEG’s move to bring OMNI GeoX on board as its geological consultant for Plumridge should assure investors the right people are handling the job. The fact Newexco is still involved is another big tick – you now have two of Australia’s leading nickel explorers on SEG’s team handling the tricky work to discover a new nickel resource in nickel-rich country. The four tenements now 100% owned by SEG total 832km2 and are highly prospective for Nova-style nickel sulphide deposits and contain the Corvette gold prospect – quite a land bank to add to SEG’s large holding. The story goes that SEG got into Plumridge and bought a huge chunk of land through the acquisition of three companies, giving it 100% control of a large area of the Plumridge tenements. It also got its hands on another clutch of tenements through a JV with International Goldfields Limited (IGS). SEG initially acquired a 65% interest in four tenements for $100,000 in cash and the issue of 50m of its shares to IGS. But SEG wanted it all – and the more it explored the Plumridge tenements the more compelling the case became to gun for 100% ownership. Well, SEG has now acquired the remaining 35% interest and to get them it paid $200,000 and granted IGS a 1% net smelter royalty. 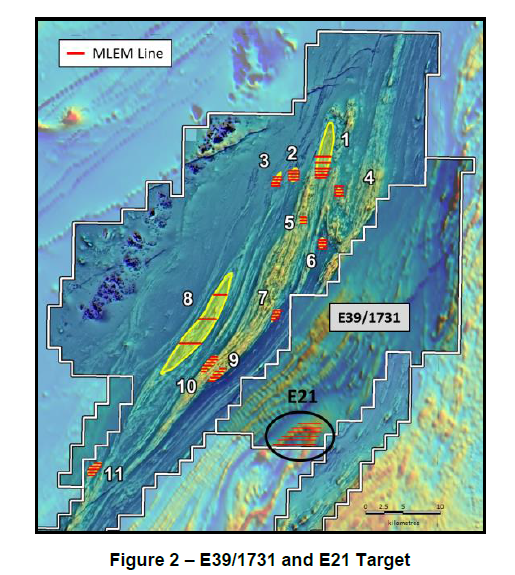 SEG now owns a 100% interest in nearly all of its tenements – which is 100% exposure to the upside of any big nickel finds on their tenements... SEG is now the 2 nd largest ASX listed tenement holder in the Fraser Range – and SEG is going all in. So, with so much exploration going at Plumridge and acquisitions going full pelt you may be wondering where SEG is getting all the money. SEG is actually so cashed up at the moment it’s having to give some of it back! Yes, you read that right... SEG wanted $2M from its recent Share Purchase Plan (SPP) to its existing investors – it got $3M . The SPP aimed to raise up to $2M at 0.8¢ per share and when it closed on Friday, the 18 th of July it was heavily oversubscribed with applications for 369.25M shares totalling $3M. But SEG can’t keep all the money. Under the terms of the SPP, SEG can only accept what it originally aimed for – $2M. SEG says its Board is reviewing the SPP applications and will scale back applications using its absolute discretion. Final allocation and allotment of SPP shares is expected to be advised very soon. There was a $500 minimum purchase for each shareholder and the price of $0.8c represented an 11% discount on the average market price. Over 500 SEG shareholders participated in the SPP. There are now over 3,500 SEG shareholders – a massive number considering there were only 350 a year ago. It seems people like what they see in SEG and are spreading the word. 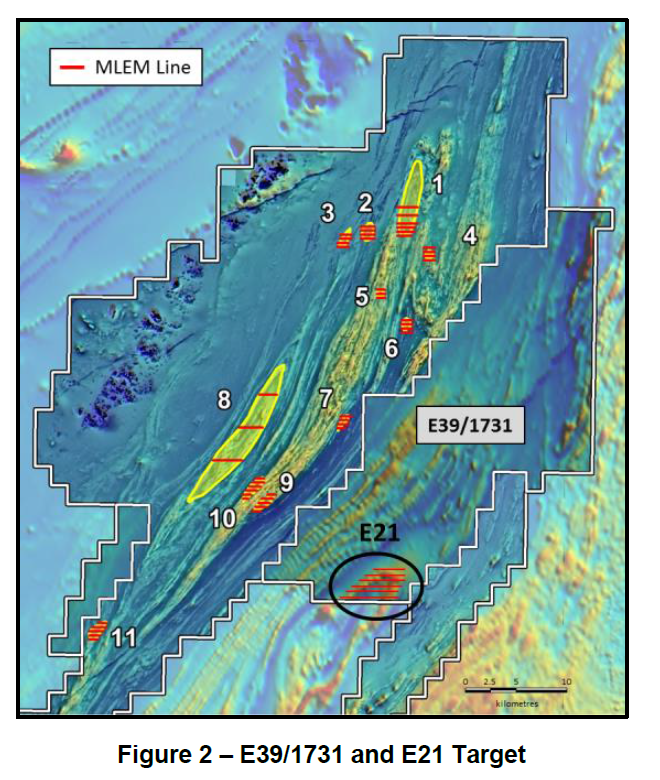 The funds raised through this SPP and the previous SPP, which total $3.1M, will enable SEG to support its wide-ranging exploration programme at the Plumridge Nickel Project. With the $2M injection SEG can now really accelerate Plumridge so hopefully the real pay day can come soon. Joining this Club will give you free access to opportunities not normally available to general retail investors – however you must qualify as a sophisticated investor under Section 708 of the Corporations Act. These opportunities are as diverse as stock placements, seed capital raisings, IPOs, options underwritings. Plus a whole host of other high risk, high reward investment opportunities not available to the general public (careful – this stuff is high risk!). Just fill in the form and you will be alerted to the next opportunity.